Last year, Xiaomi expanded into the lifestyle products sector with the launch of Mi Luggage and Travel Pillow, and more recently, an Anti-Pollution Mask and the Mi Focus Cube Gold. Now, the company has dropped a teaser on the Mi India Twitter page about an upcoming product launch- Mi Sports Shoes. 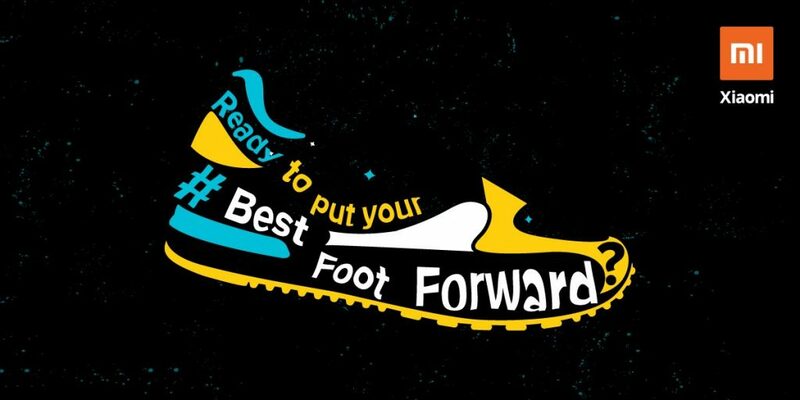 Putting their #BestFootForward, Xiaomi has hinted about the India launch of their shoe line, possibly in the near future. The shoes were released in China last year with the name Mi Sport Sneakers 2. The manufacture of the shoe uses a Uni-Moulding process that has 5 different layers- multiple materials are fused into a single mould, thus offering better stability and support for the feet. The inner sole is made of a breathable material, and the upper part of the shoe is made with a three-dimensional seamless high-elastic knitting process- it’s uber-durable, so you can even throw them in the washing machine, instead of cleaning them with ye olde toothbrush. That also means that there isn’t a chip in the sneakers to track your movements. They have a new independent fish-bone locking design. Xiaomi claims that these shoes have excellent grip, regardless of what the wearer is doing. The shoes were launched in Black, Flower Grey, Floral Blue, and White in China; no word yet on whether all the colours will make it to the Indian market. They will be priced at Rs 2999 when they release in India sometime later this month.